I have so many things I want to write about related to Christmas this year. However, I really have been so durn tired. Too tired to write the things I want to write. So, I am going to capture the highlights in pictures, lest I forget some of these funny, special moments. Here they are. 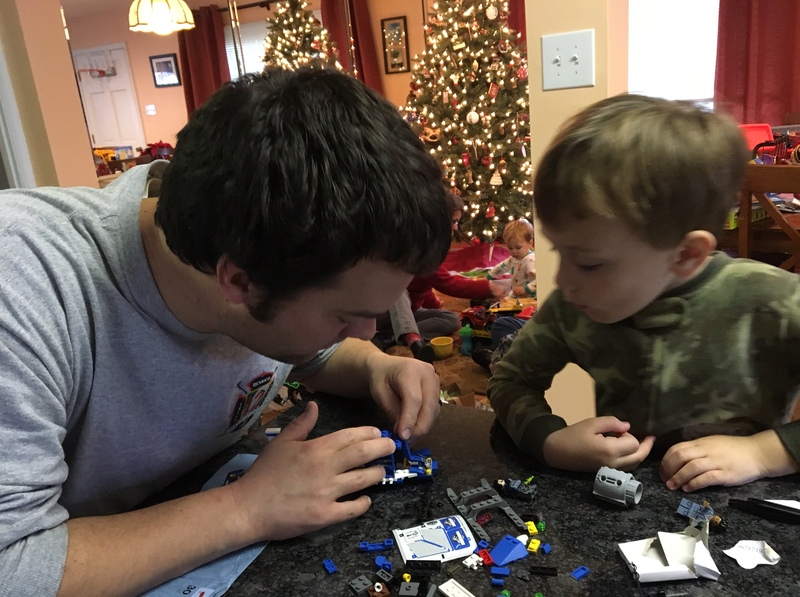 Brothers bonding: Hyatt recently learned how to say “Linkie,” short for Lincoln. A new era in their relationship has begun. Hyatt reveres his older brother, and Lincoln looks out for Hyatt. They fight constantly, but the occasional chirp of “Here you go, Hyatt!” and “Otay, Linkie!” warms my heart. 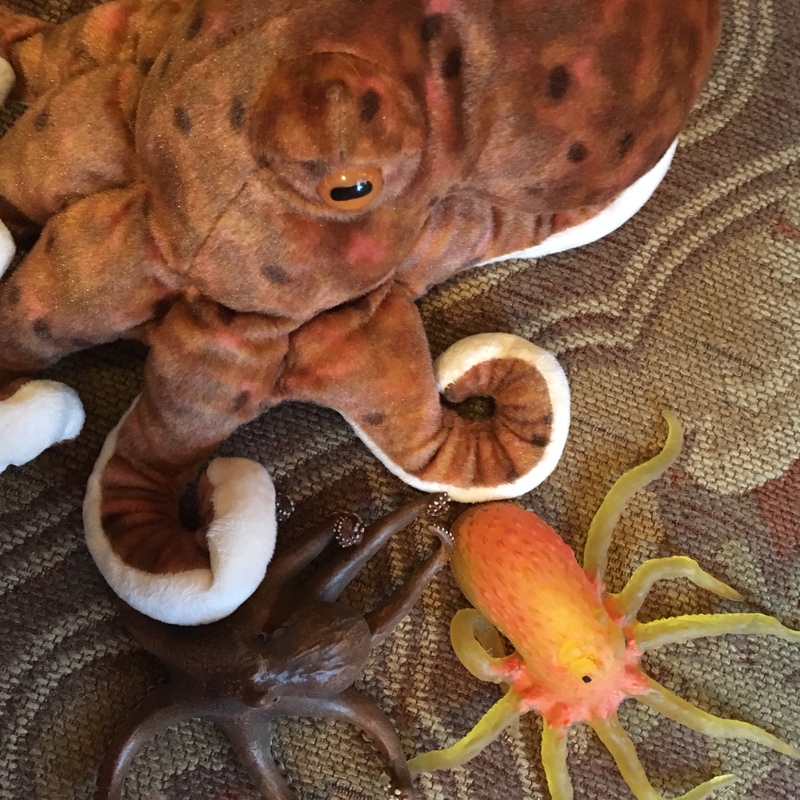 Shoot ink: Hyatt expressed interest in sea creatures, so I showed him a YouTube video of an octopus shooting ink. Ever since, octopuses have been his new favorite animal. We’re not sure if it’s the ink, the camouflage, the eight legs, or the fact they can squish their bodies into tight spaces, but Hyatt regularly whispers in my ear, “Shoot ink,” because he wants to watch another video. While shepherds watched their flock by night: Last year some friends recommended Andrew Peterson’s Behold the Lamb of God concert. This year we bought tickets. I was a little nervous because the concert was the evening of a chemotherapy day, but I took a long nap in the afternoon and woke up pretty refreshed. The concert (and album) is a great way to pause and think about the Christmas story. Its narrative begins in the Old Testament. 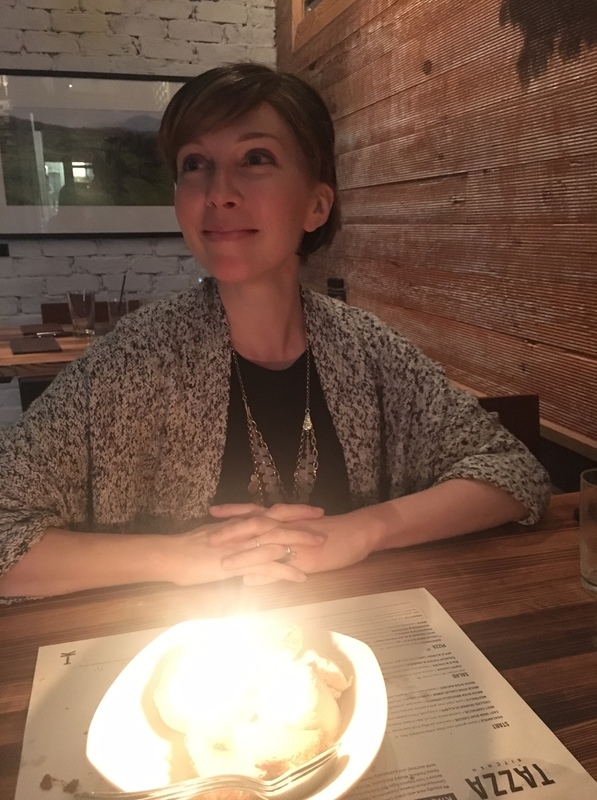 In addition to Andrew Peterson, we got acquainted with some strong musicians who were new to us: Jill Phillips, Andy Gullahorn, Gabe Scott, and Jenny & Tyler. Our night out was a surprising highlight of the season for me. 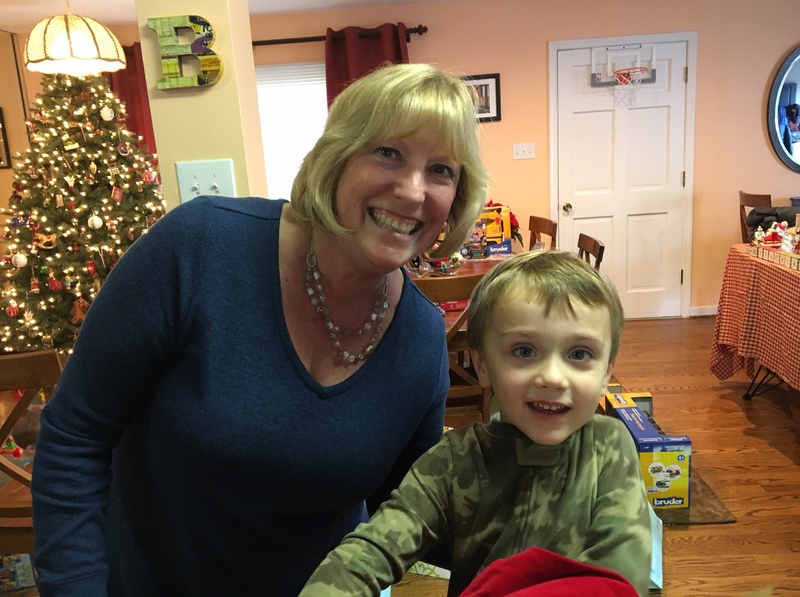 Now and not yet: Speaking of the Christmas story, being in cancer treatment–especially during this time of year–has reminded me, poignantly, of how we experience the “now and not yet kingdom of God.” I have a lot of joy and peace, BUT (they tell me) I’m sick. I have a blast chasing my boys at the park, but I also have these troublesome cells that need treatment. I experience both the blessings of God and the bummers of living in a fallen world. This post explains our now-and-not-yet situation well. So, I look forward to the day when the story is completely fulfilled, when “He will wipe every tear from their eyes. There will be no more death or mourning or crying or pain, for the old order of things has passed away.” Revelation 21:4. YES. Eat these at your own risk: Thanks to some sugar cookie dough and sprinkles my friend Jenny passed our way, we were able to hold the boys’ ping-pong attention spans for a long time. Meanwhile, my friend Christy cooked up some delicious brunch. Hyatt keeps thinking if he whispers a cookie to me, I’ll give him one. A cooookie. Shoot ink. Whoa, mama: We’ve had some glorious sunsets. Party Planning Committee: My dad has called Lincoln “Mr. Good Time” because Lincoln tends to be pretty agreeable. He’s good-natured. (If he were a character in a Jane Austen novel, the matriarch would say things like, “Oh and dear, what do you think of Mr. Grissom? I daresay he has such an agreeable temperament. Just yesterday he told me he was so looking forward to the Christmas ball! I daresay, you would do well to have a dance with him.”) Anyways, at four, Lincoln is beginning to embrace and enjoy traditions. 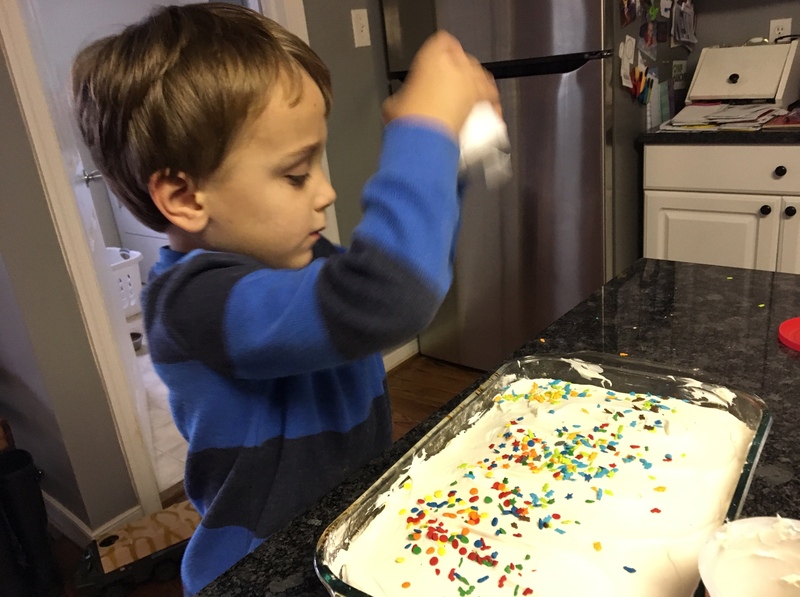 He loved decorating for Christmas, and he got so excited to help make a cake for my birthday (December 27th). He’s an endearing tornado of enthusiasm. Treatment update: If my white blood cell and platelet counts are in a good place, I have just two chemotherapy treatments left–one on December 29 and one on January 5! Whoop whoop! After that, it’s surgery. A long time ago I was supposed to be finished with chemotherapy in early December, and Christmas was my carrot on a stick. But there were occasional delays because of counts being too low. I’ve had to learn to roll with the punches more than I used to. We are so thankful for the help and acts of thoughtfulness, and we continue to pray for–in one friend’s words–lifelong remission! Were you Jane Austin in another life? I laughed so hard. I’m glad you had a good Christmas. Continued prayers your way! Love you! You don’t know me but I know your husband Bryce thru…. of course the fire department!! I work in Hanover and know him thru St 9. I have a recommendation for you what ever job you have quit and become a writer!!!! I have read every blog you have written and it has made me stop and look in ward at myself and it has made me thankful for things both good and bad!!!! You are a strong willed enthusiastic person in the face of adversity and I wish you nothing but great things in 2017!!! Seriously go to full time writing because you are exceptional talented and gifted at it!! I know all those medical terms too well. Get well! A week from now, you could be getting your LAST TREATMENT! So thankful this process has been medically successful, and thankful that it is almost over! I totally agree with Craig Bodette! I also agree with Craig. As you write about Linkie and Hyatt, it reminds me of Logan and Austin — their relationships, Christmas, Christmas cookies and animals. 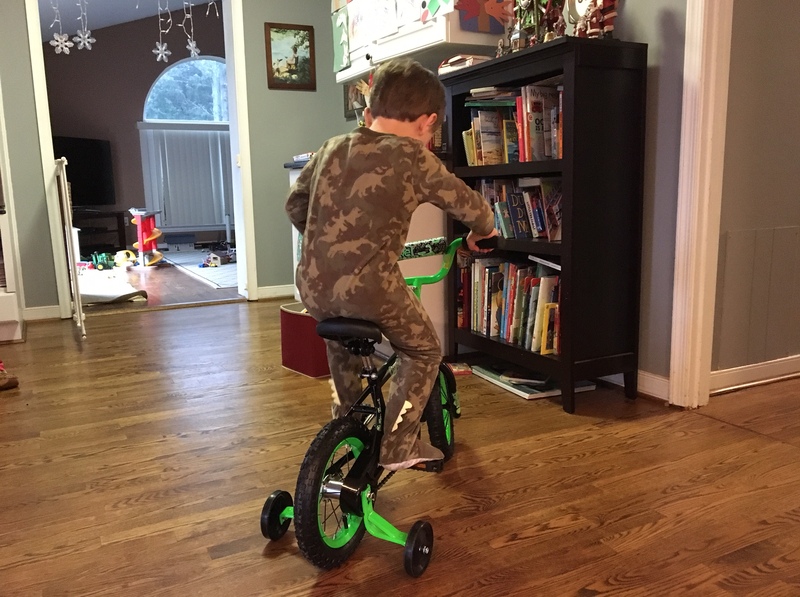 Logan also received a bike from Santa. He was very good at learning how to brake. Slow starts are sometimes the best. We are so blessed. Liz, thanks for finding the energy to blog. You have so many prayer warriors & cheerleaders that are eager to hear about your journey/triumph. Love you. Thank you once again for the gift of your phenomenal writing and your uplifting spirit! Prayers continue for your quick return to perfect health!